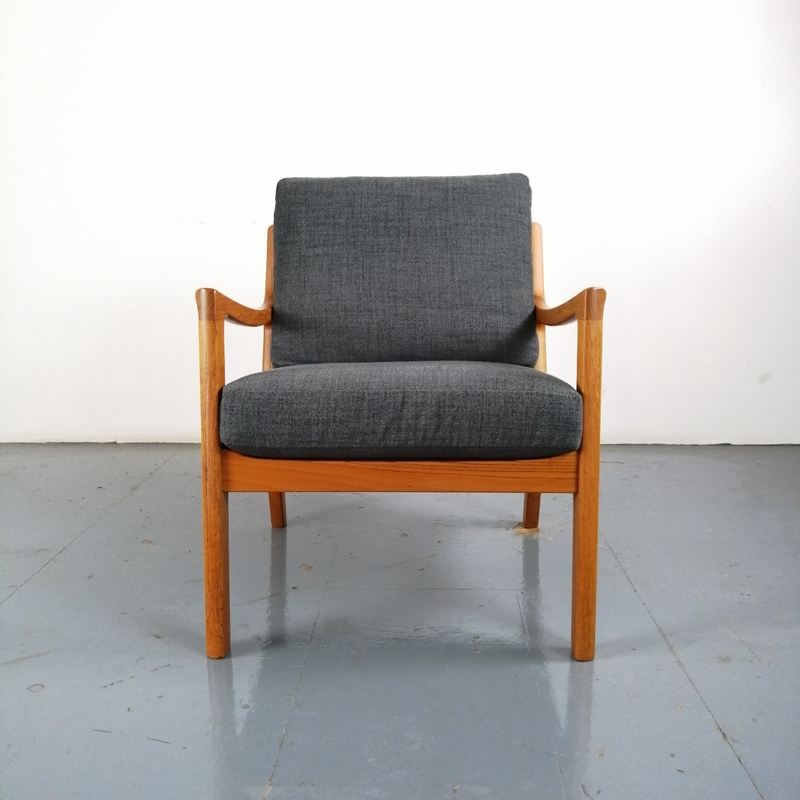 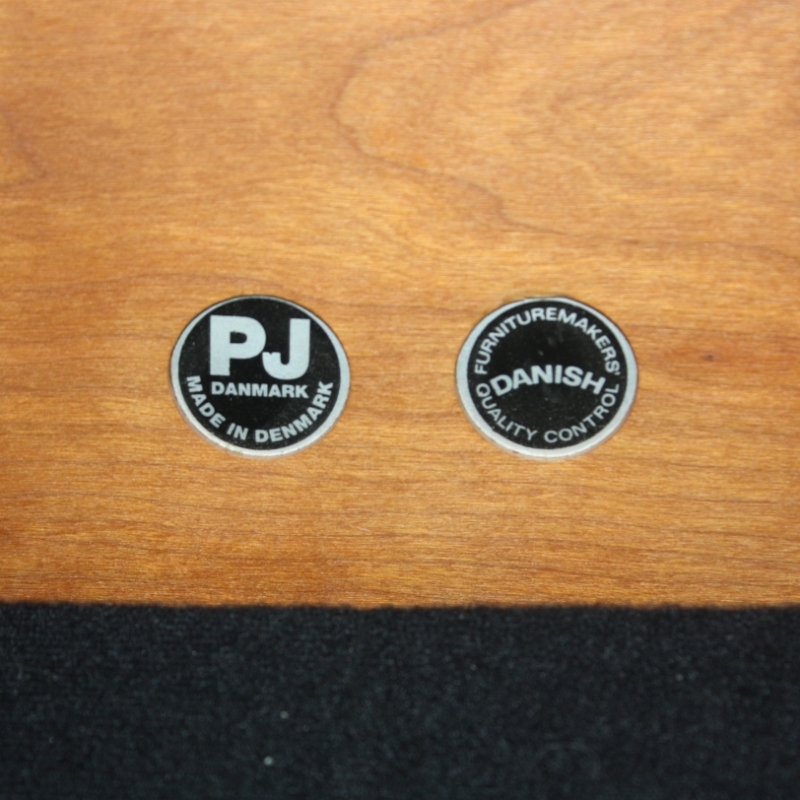 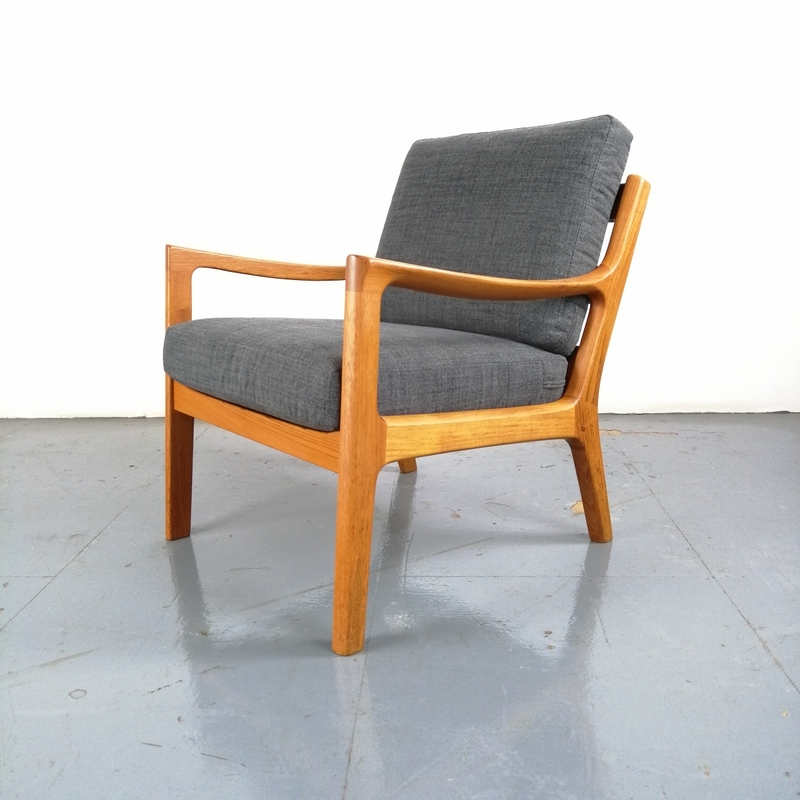 1960s teak lounge chair designed by Ole Wanscher for Peter Jeppeson. 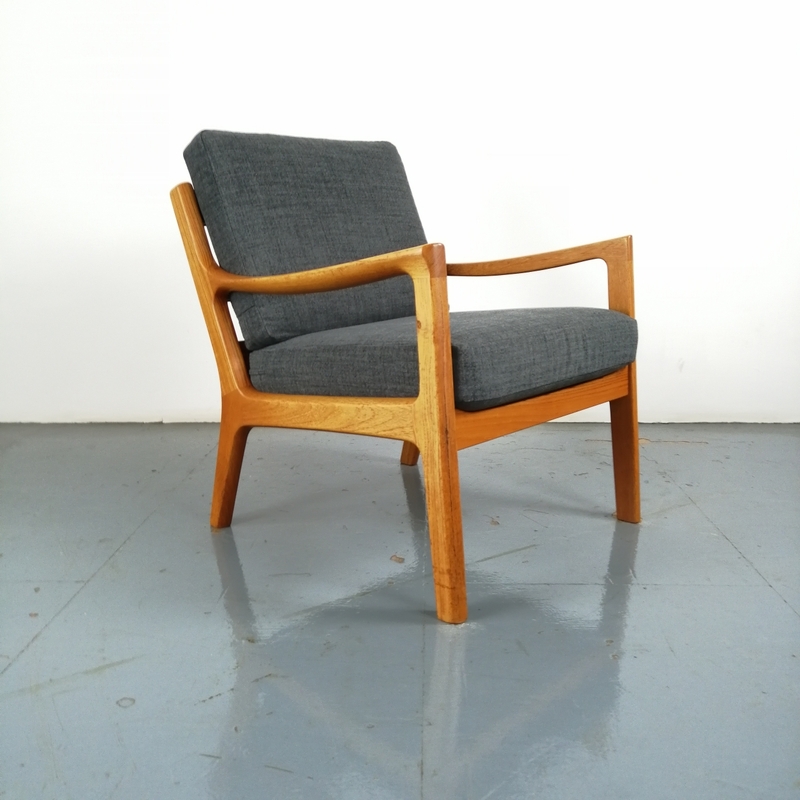 Solid teak, with beautifully designed curved arms. 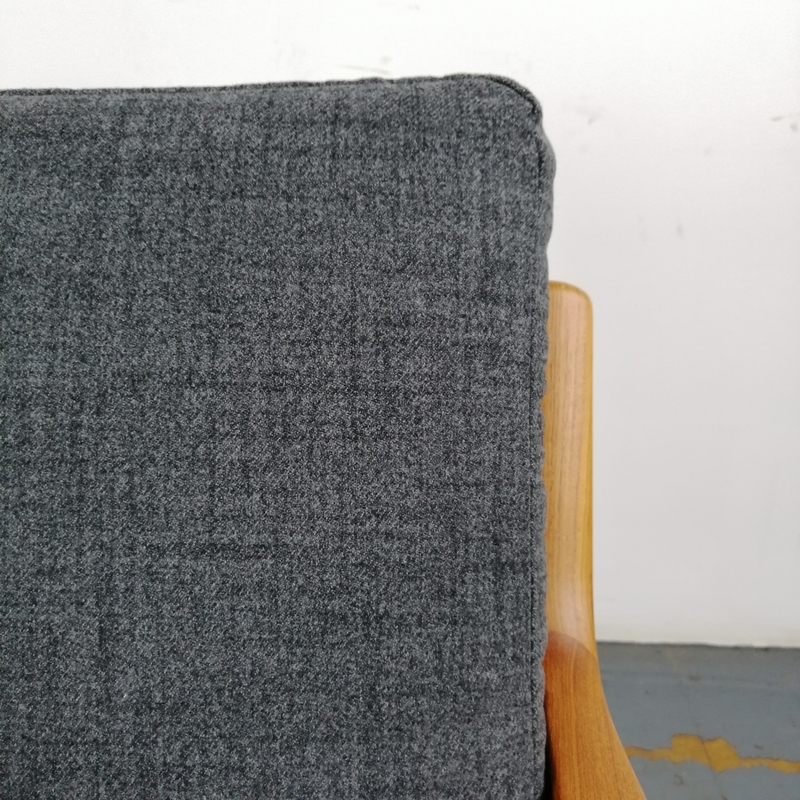 With 2 thick spring-loaded cushions, making the chair supremely comfortable, which have been newly upholstered in beautiful dark grey thick highland wool fabric. 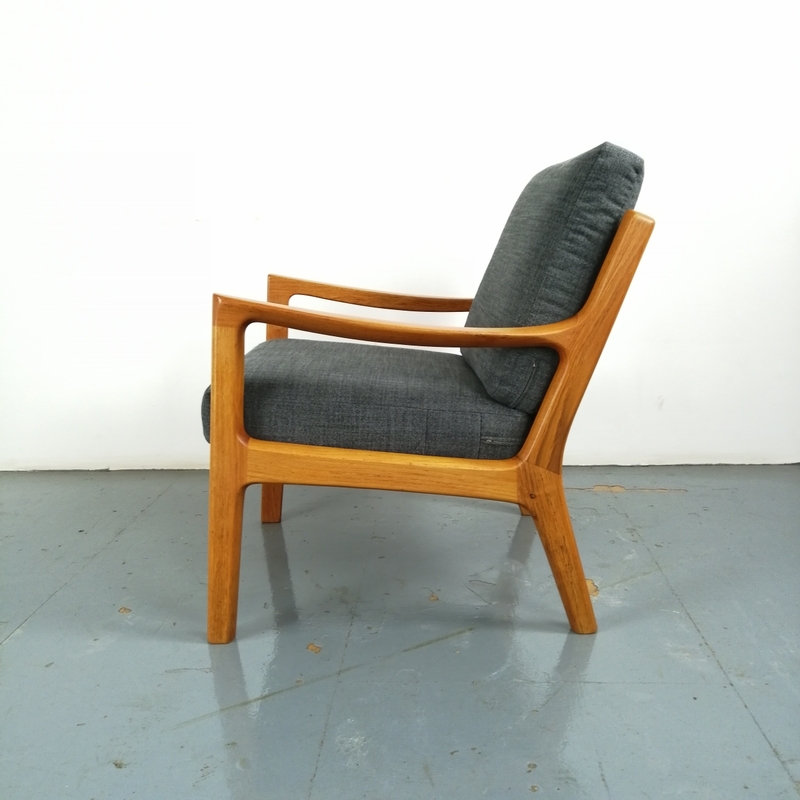 The chair can in fact be dismantled very easily and will be sent this way unless you would prefer to have our driver deliver it - please let us know in this case and we will give you a quote. 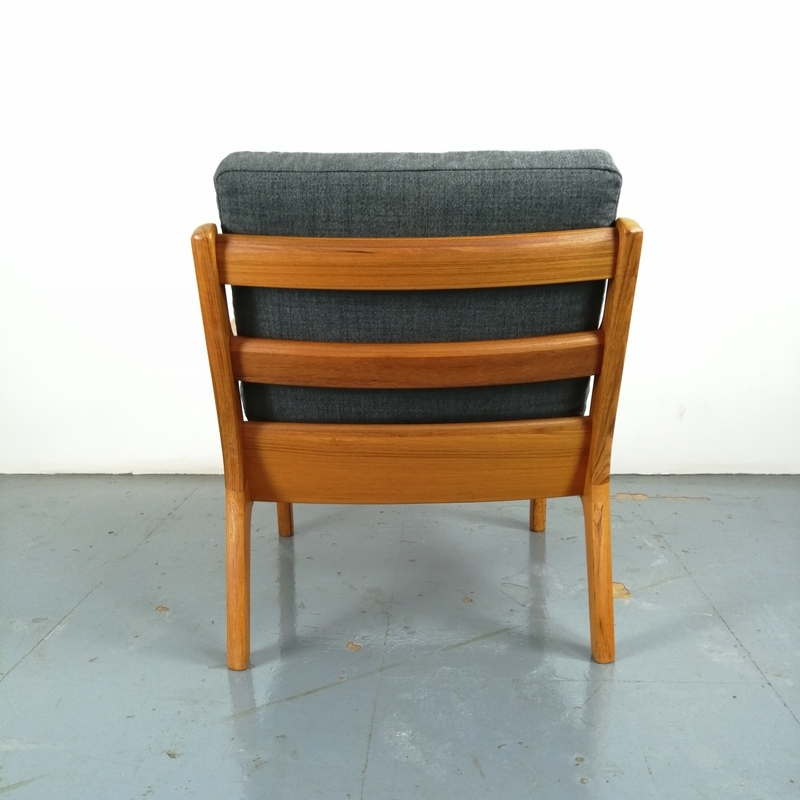 At time of listing we have 2 of these chairs in case you are after a pair.